We bring you raw jade jadeite stones with white green black white and other colors. Rough jade boulder and pebble cut block jewelry pendants bangles sculptures artwork and more there is a wide spectrum. As a useful material with some mystic property also a high level of symbolism is relevant. 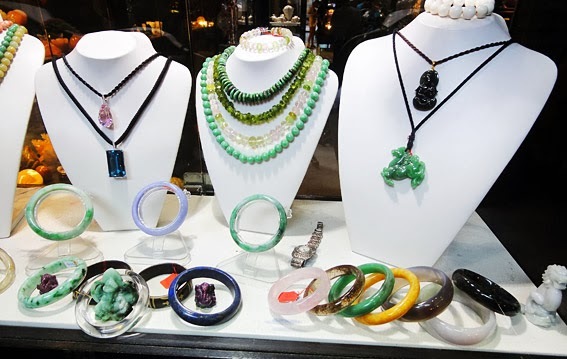 In other countries not many use jewelry created from the stone but everywhere with a Chinese population that is the raw jewelry material people are dreaming of made from raw jade chunks. 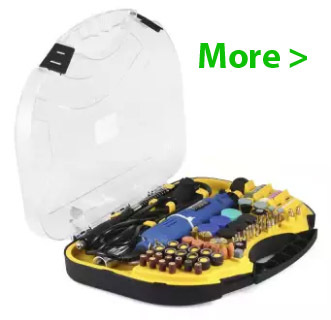 Browse our website and tell us what you want and we give you an idea what is available. It needs to keep in mind that jade stones are sold per piece and not per carat gram or whatever and the texture plus translucency play a major role in determining the value. As a matter of fact everyone has a different idea about the price of jade since there are no standard parameters especially not with colors which makes it often difficult to find a realistic price for jade rocks. Different jadeite and nephrite jade qualities are available for gorgeous jadeite carvings to meet almost any requirement. Jade stones and jewelry played a significant role in the culture of ancient civilizations especially Chinese. Today for production and selling there is an interesting symbiosis since China adjacent to Myanmar is the world's largest market for the green stone which is high-end jadeite jade ideal for Jade Buddha Statues and ornaments and jewelry. Twice per year a jewelers dream becomes true at the gem emporium in Naypyidaw. 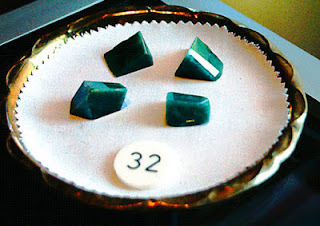 There the green stones are auctioned together with raw minerals jewelry and other gemstones. More than 4,500 traders from China Hong Kong Thailand and Japan attended the emporium this year Myanmar started to hold annual gem sales in 1964 in Yangon. 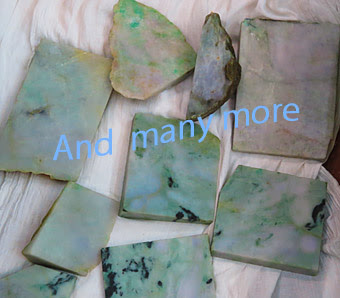 On display are also slabs & chunks of various jadeite jade color and sizes. Beautiful shining star sapphires luscious golden south sea pearls and rare pigeon’s blood rubies. The 13-day Myanmar Gems Emporium ended in the capital Naypyitaw with successful auctions of 8,943 lots of jade and 323 lots of gems. This is substantially lower than last years when jade stones for almost 3 billion where sold they said because of lower prices and a drop in the jade sale volume. Actually it seems to be mainly because the Chinese cornered the market and bought everything available before for lower prices. 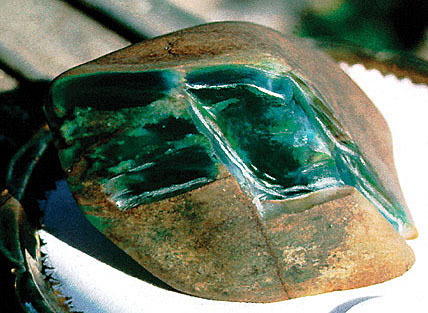 Historical Background of Myanmar Jadeite Jade. In the past nephrite jade came mainly from Chinese mines currently (2018) the largest supply is from Canada plus New Zealand and Australia. Myanmar Jadeite is from the mines in Kachin State Burma there the rough jade is produced which is also the top quality material for jewelry and sculpturing. Natural jadeite already precut to show the real colors the photo here shows some pieces of the large inventory since we have a large selection in stock with very user-friendly prices just tell us what you are searching for one of our specialties is beautiful rare lavender jade. Buying the mineral is always a risky business because nobody can look into the stone and the method with the lamp needs long experience and is still not safe. Most serious dealers cut the rocks in half or just a corner out to show the customer what is truly inside. 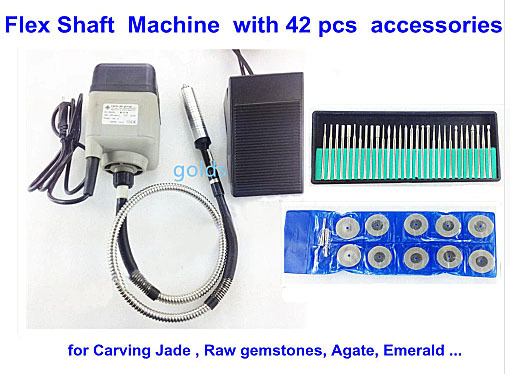 Rough jade stone is used to create jewelry ornaments and sculpturing since thousands of years. Over a long period of time people thought an oriental jade mine is only in China which was wrong because actually most came from the Turkestan Region. Today the high-end material is Myanmar jadeite jade and the other is nephrite which come from different places of the globe among other Canada and Australia because the Chinese mines already go exhausted. Minor mines are also in New Zealand Australia and Russia. Most rough material under the label "Chinese Jade" today come from British Columbia mines, they have about 70% percent of the world market. As usual there are fake stones around this can be aventurine quartz and serpentine chrysoprase is mined in Australia the other variant is opaque dolomite marble from Malaysia. In ancient times this was a revered stone which commands its importance in their cosmology and rituals. They believed that the world was surrounded by water, and the breath or influence of nature affect both living and dead. The fate of man is determined by cosmological influences. But very much standing on earth by using an arrowhead to kill and a lot of superstition surrounded the green stone. Today these superstitions are of course losing ground and yet the mineral is still in increasing demand not only by them but also by people the world over. In ancient time jadeite was also manufactured into daggers axes spearheads arrowheads and everyday items found at excavations in ancient tombs. Since those have been from the Shang Chou and Han period it’s a good evidence for a historical long time-frame. The country is very deeply connected to the green stones and brisk trading business was done with Burma (Myanmar) Jade for hundreds of years over the southern border beyond Yunnan. For all variants available just browse our website and you will discover the “pretty stones” you like and the very good news is here you find items which have a high-end appearance with a low-end price, read more. There are several reasons for one is probably the rich color spectrum which makes them fit any dress and the elegant appearance.